Unions representing workers employed under the largest collective agreement in the construction industry have described the employer’s paltry pay offer as “insulting”. Pay talks for the Construction Industry Joint Council (CIJC) which covers the pay and conditions of around 500,000 construction workers, were held on Wednesday 9 March. The unions involved Ucatt, Unite and the GMB, were especially shocked that employers offered a paltry 3.5 per cent increase spread over two years, especially as the CIJC has far lower pay rates and benefits than all the other construction industrial agreements. The very low offer comes at a time when the construction industry is expanding and there is a growing demand from workers for rates to rise and catch up in real terms for the losses they suffered during the recession. There was further dismay on the union side that employers ruled out paying the London living wage be paid to workers in the capital. Currently the lowest paid workers in the agreement are paid nearly a pound an hour below the London Living Wage. 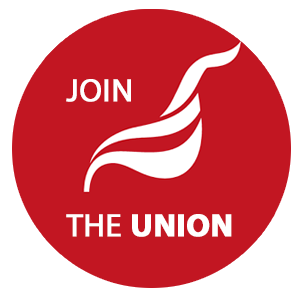 Unite national officer John Allott said: “The employers need to get real over this insulting pay offer which falls well short of the expectations of our members. The pittance on offer is out of kilter with the rest of the construction industry and fails to recognise the sacrifices workers made during the tough times. Phil Whitehurst, GMB national officer for construction, said: "The derisory two year deal of 3.5 per cent overall has been unanimously rejected by GMB, Unite and Ucatt and makes the trade union side wonder if this group of employers really want this agreement at all. “In terms of remuneration, the CIJC working rule agreement is by far the worst agreement in the UK construction industry and these employers have now taken that to a pitiful race to the bottom.